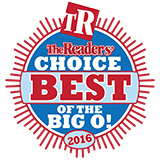 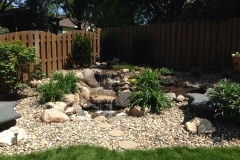 Bringing nature to a home can give you a peaceful, stress-free environment in the enjoyment of your own yard. 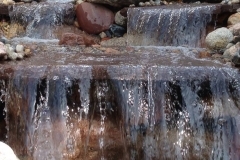 In nature, a waterfall is a place where water flows over a vertical drop or a series of drops in the course of a stream or river. 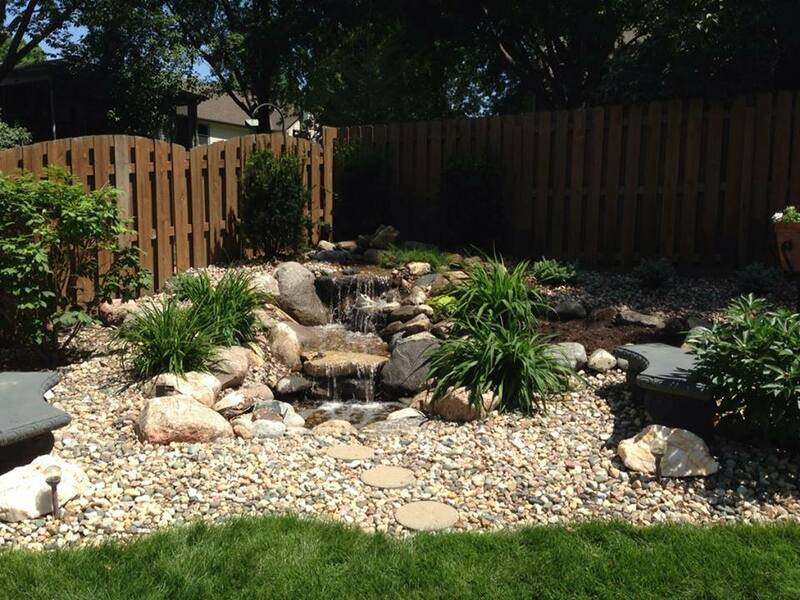 This is important to close your eyes and envision allowing us to bring the nature to your home. 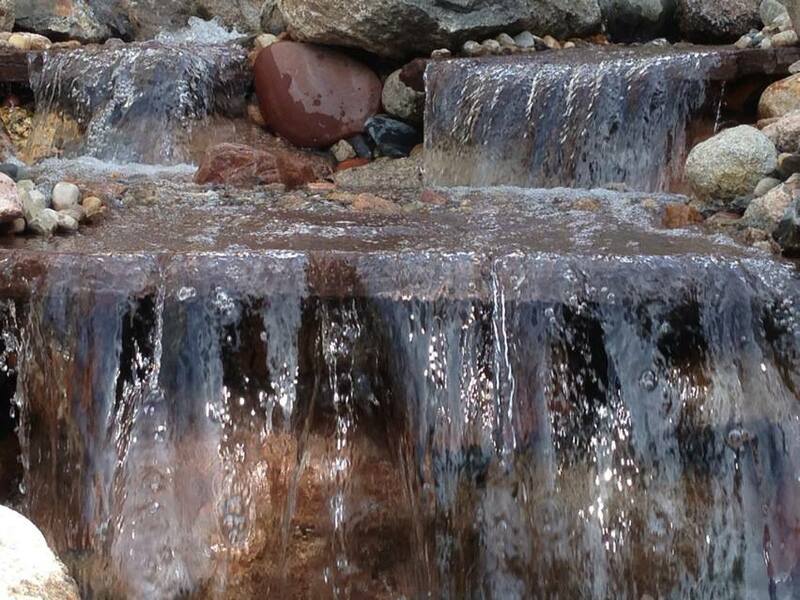 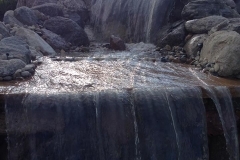 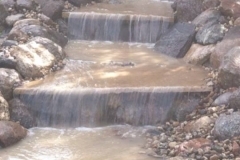 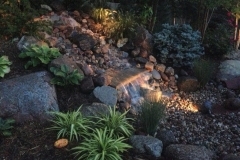 We can use stones from across the world to help bring the ambiance of a beautiful natural waterfall with in reach of you. 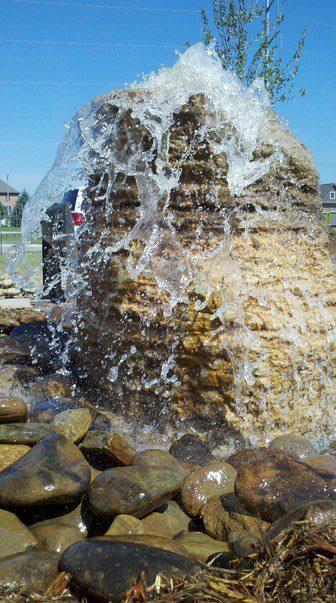 When creating large water features we use heavy equipment to install large natural stones in precise locations. 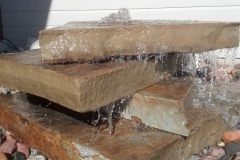 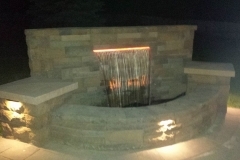 All our water features come with a special touch and artistic flare that comes from our designers and installers. 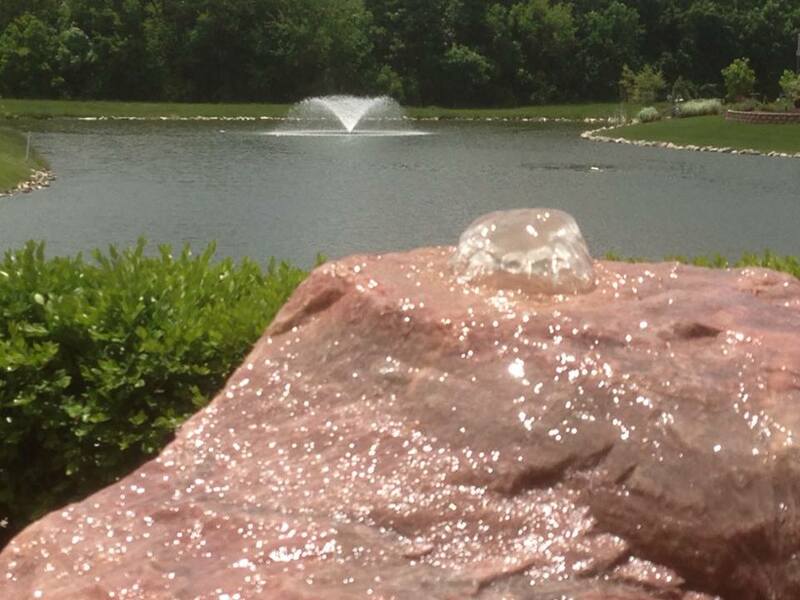 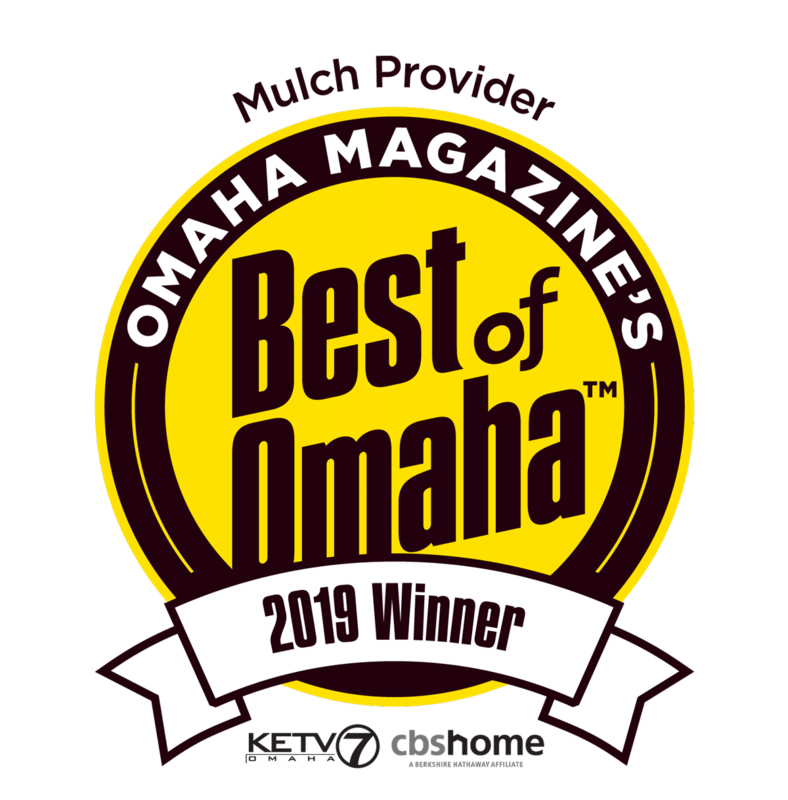 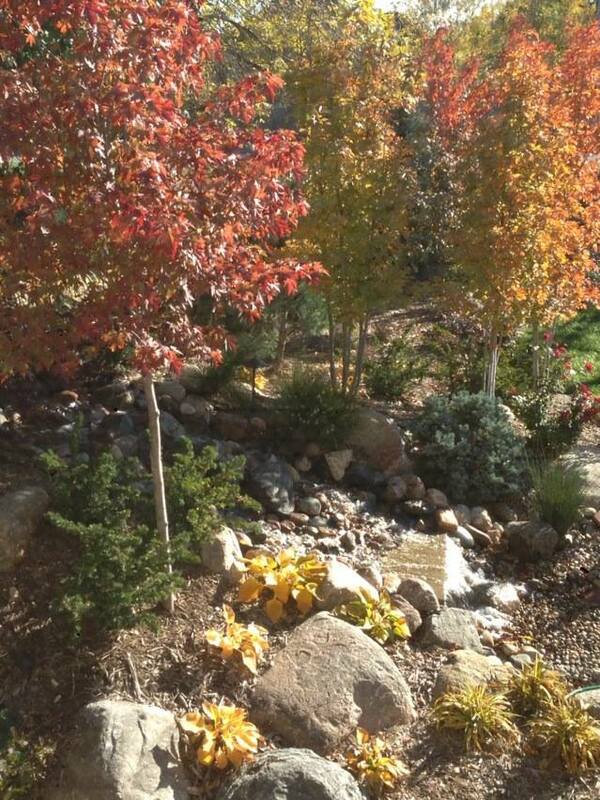 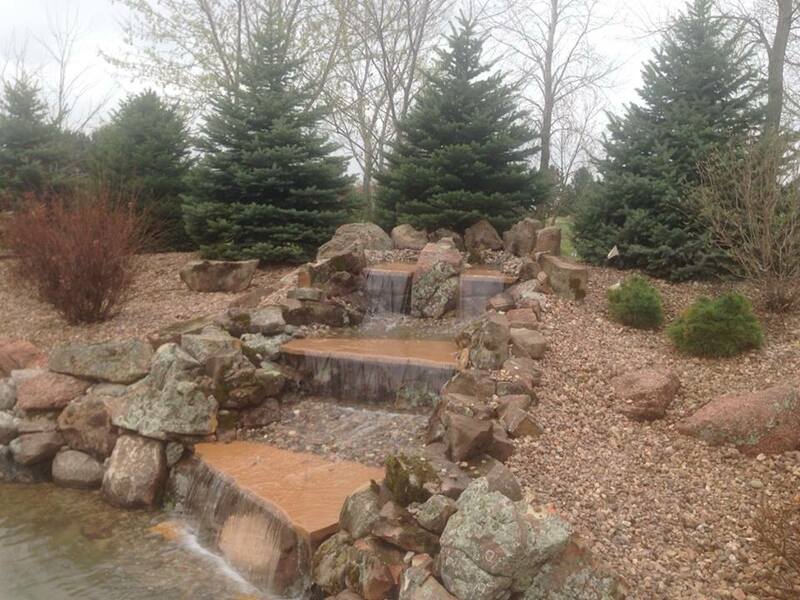 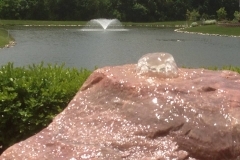 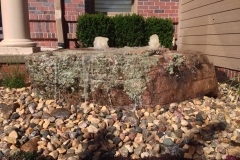 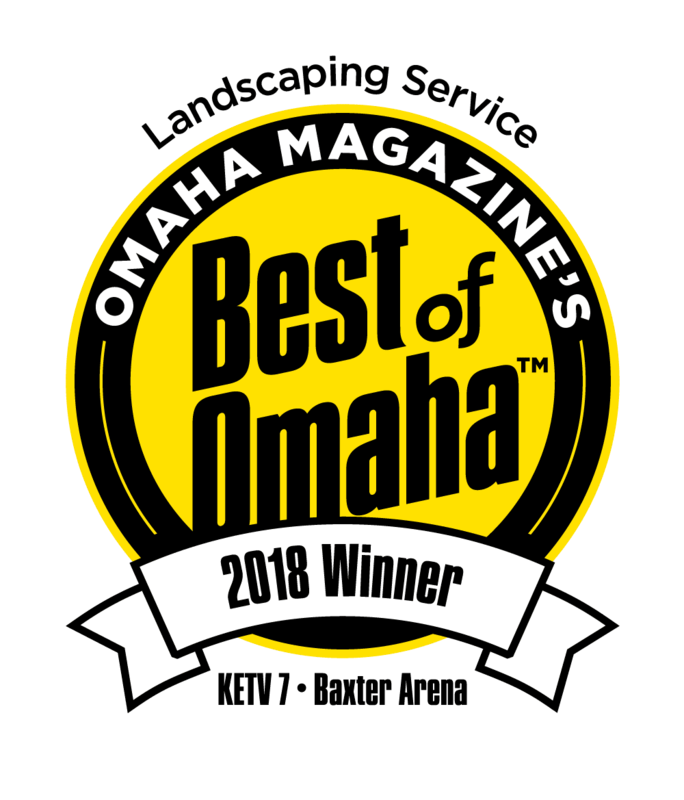 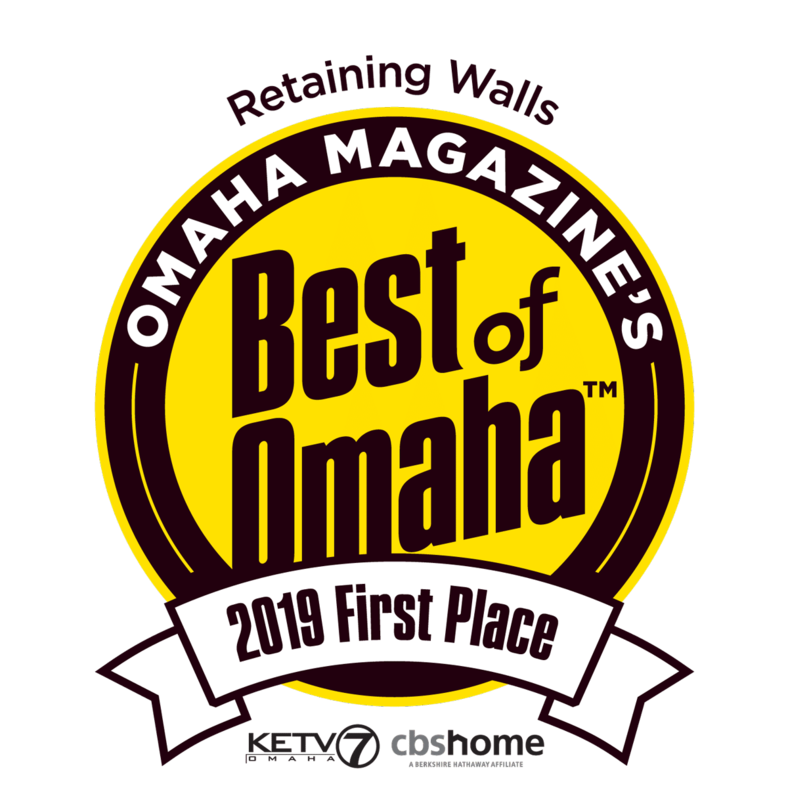 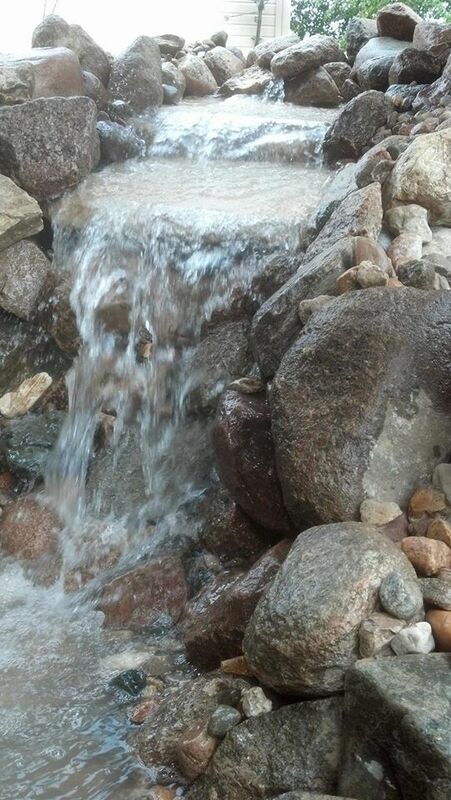 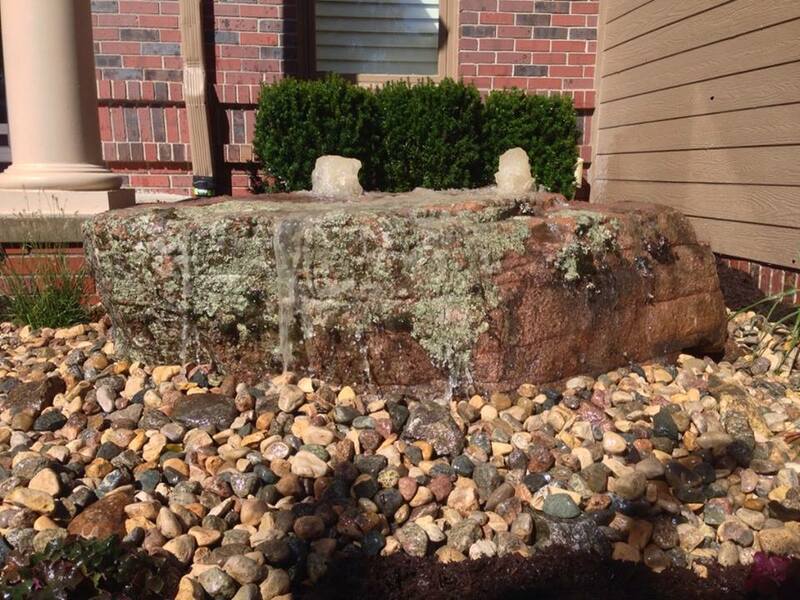 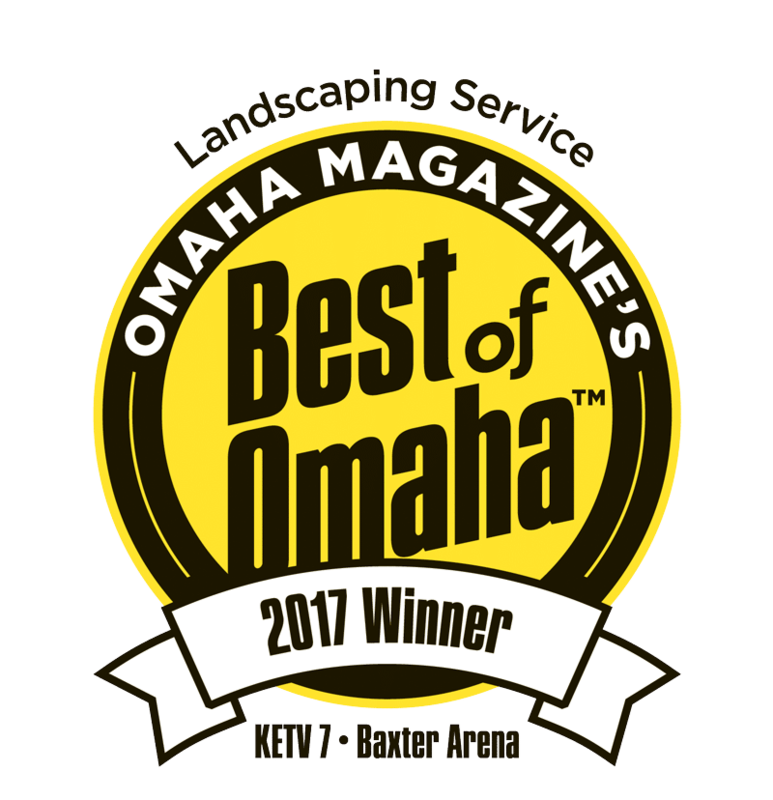 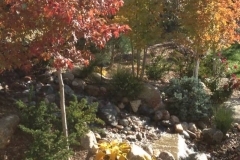 We offer pond less water features and bubbling features making for a near maintenance free experience. 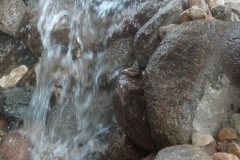 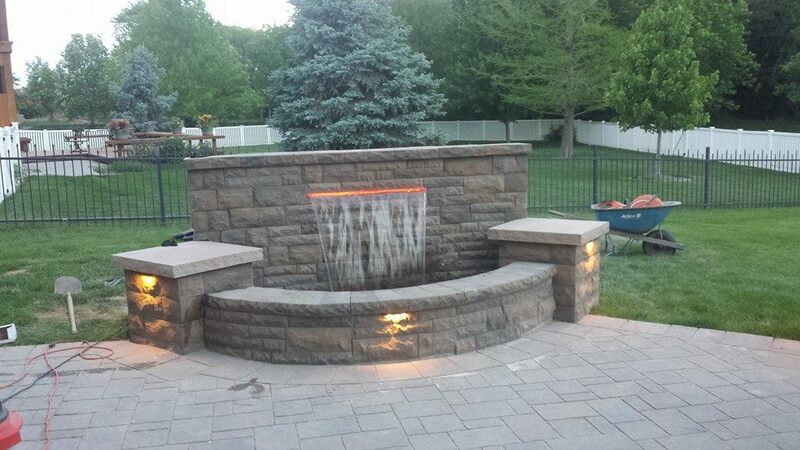 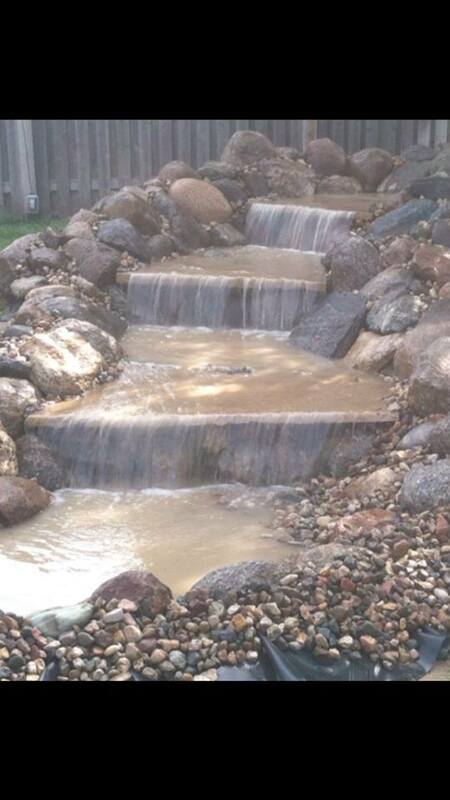 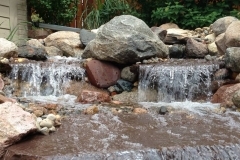 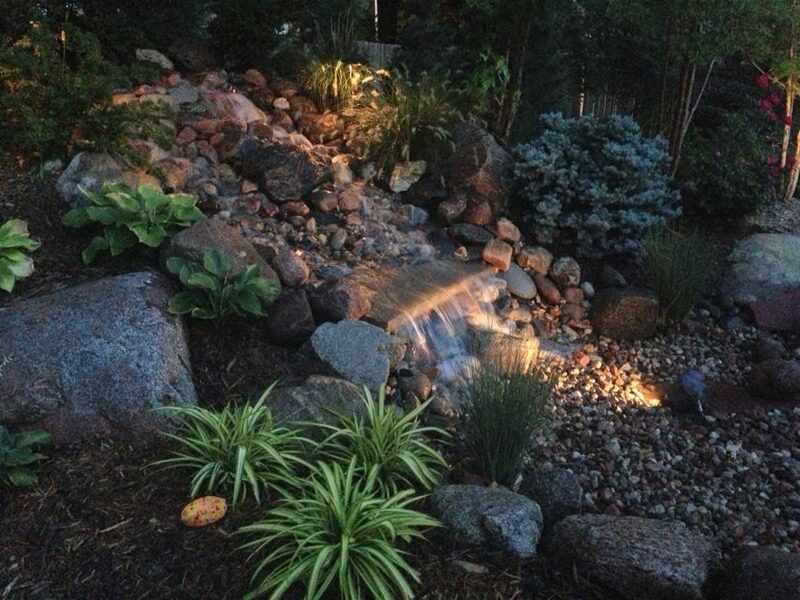 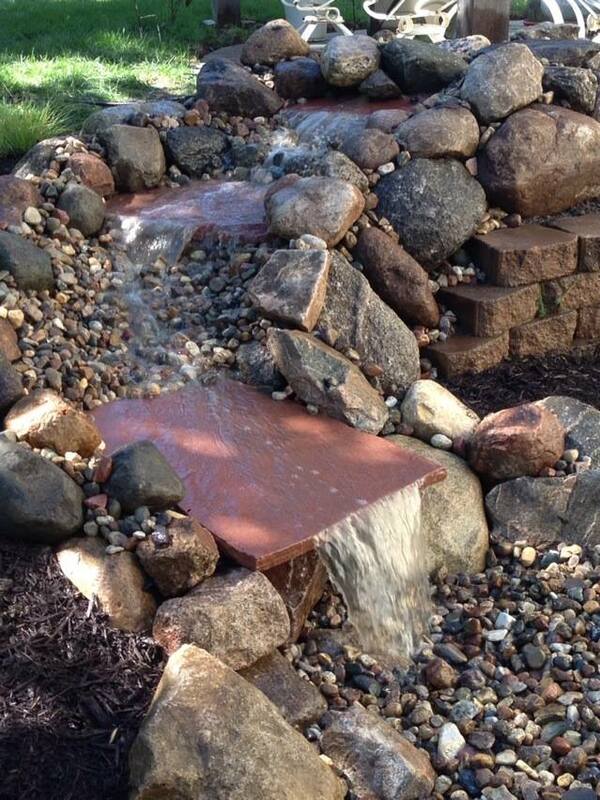 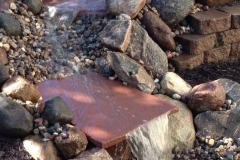 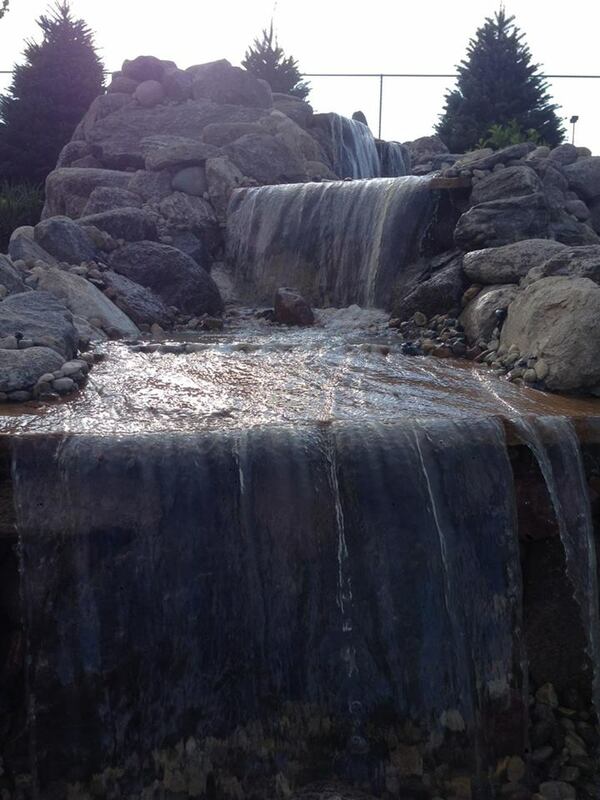 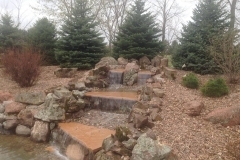 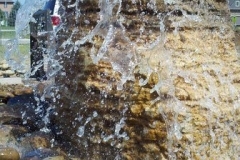 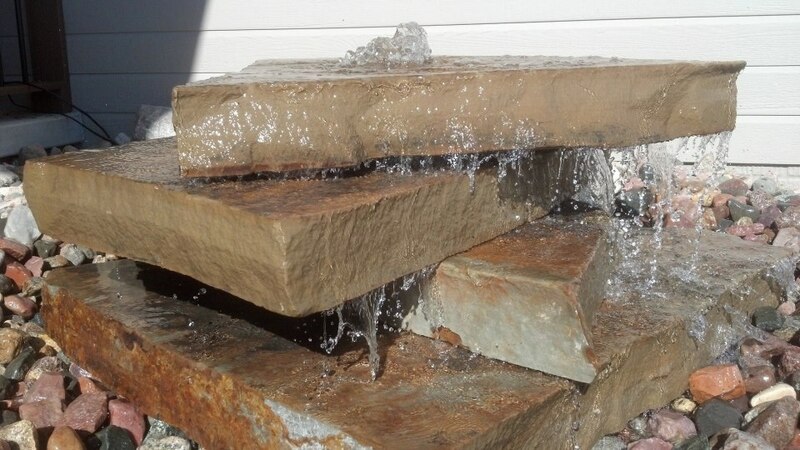 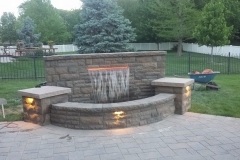 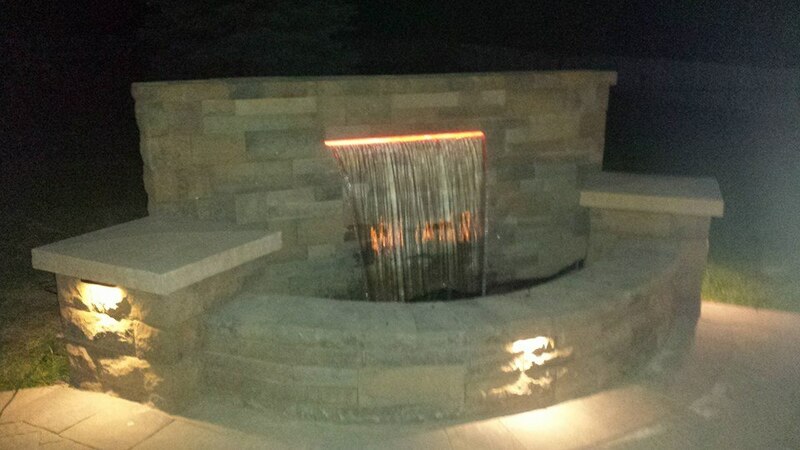 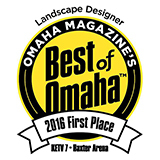 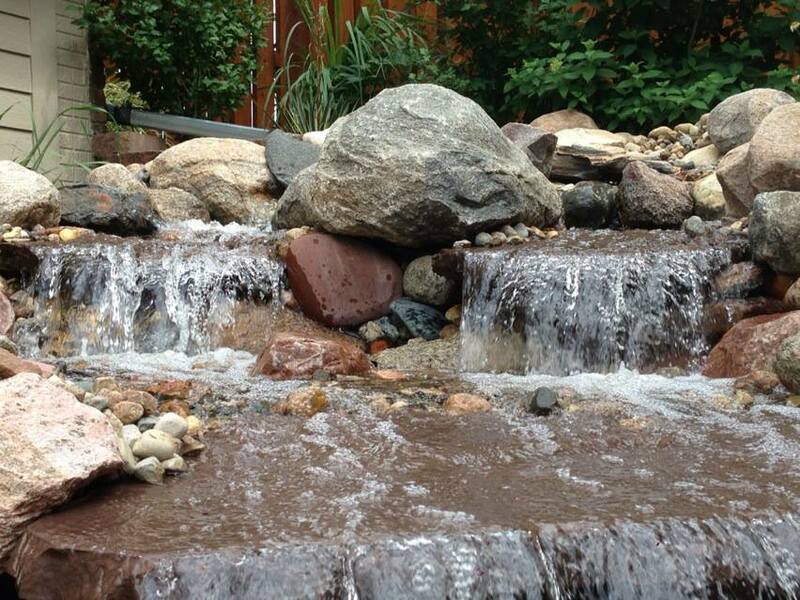 The sound and visual come together in a water feature to make it a highlight of landscape. 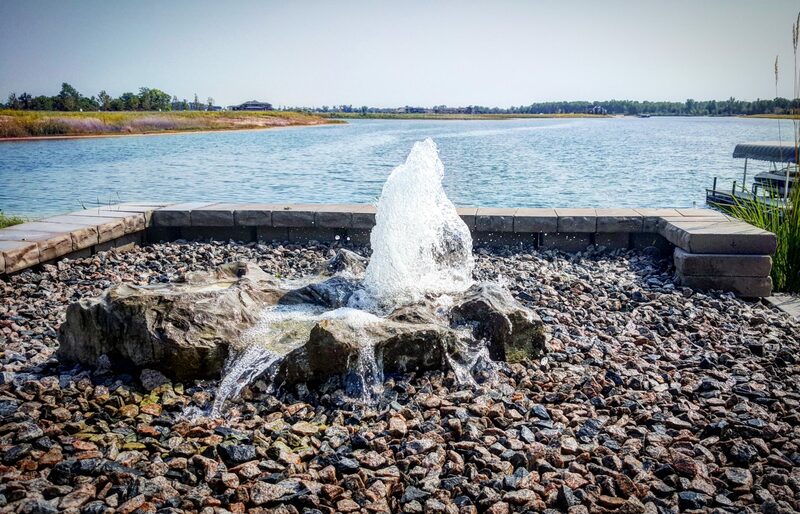 We have the capability to bring smaller scale water features into tight areas and still reap the benefits of large scale projects.